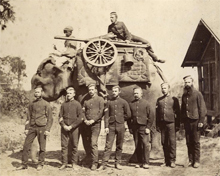 Despite facing many invasions, strangely the land of Assam had never been a vassal or a colony to foreign powers or outside kingdoms till 1821 when it came under the control of Burma and later on British annexed the region as part of Indian subcontinent in 1826. For a better understanding of Assam and its people, it is important to know that this region is a confluence of three races of ancient ethnicity - Indo-Aryan, Austro-Asiatic and Tibeto-Burman. A number of chronicles, inscriptions, copper plates and royal grants throw enough hints to give a clear picture of the history of modern Assam. The Ahom kingdom in medieval Assam has maintained chronicles (Buranjis) written in local dialect. Also, a corpus of Kamarupa inscriptions on rock, copper plates and clay are available that portray the existence of civil administration then. Besides, a number or royal grants were issued by the Kamarupa kings and the proto-history reconstructed from the folklores of epics like Mahabharata and two medieval texts - the Kalika Purana and the Yogini Tantra - will explain in clarity how Assam has evolved over the centuries. Broadly speaking, the Assam history is divided into four segments. The Kamarupa kingdom that was mentioned in Samudragupta's pillar in Allahabad occupied most of the ancient era from the 4th Century CE. In 1207 CE, the first of the Turko-Afghan attacks from Bengal occurred as pointed out in the Kanai-boroxiboa rock inscription following the break-up of the ancient Kamarupa dynasty. This led to a profusion of medieval kingdoms and local chieftains. The colonial era began with the British annexing the region after the Treaty of Yandaboo with Burma in 1826 and the post-independence times got off since 1947 after the Indian Union attained freedom. The Hindu epics and literature like Mahabharata, Kalika Purana and Yogini Tantra throw enough light on ancient Assam. King Naraka replaced the earliest political entity led by a non-Aryan Danava dynasty under the leadership of Mahiranga, the first king of Assam. Naraka appears to be a generic name for many kings belonging to the Naraka dynasty. 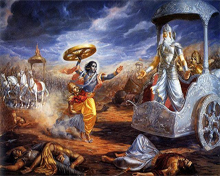 According to legend, the last of the Naraka kings was killed by Lord Krishna and the former's son Bhagadatta took the throne of Pragjyotisha Kingdom. It is said that Bhagadatta took part in the Mahabharata war with an army of "chinas, kiratas and dwellers of the eastern sea", thus indicating that Pragjyotisha included parts of Bangladesh. King Suparua, the last of the Narakas, to have ruled the region according to mythological references. King Pushya Varman (of Varman dynasty) who ruled Kamarupa in the 4th century marks the start of ancient Assam. The kingdom stretched from Karatoya in the west to Sadiya in the east and reached its peak under Bhaskar Varman in the 7th century. Chinese traveller Xuanzang had given an account of the royal court after a visit. After the death of Bhaskar Varman (who had no issue), Salasthamba took charge of the kingdom and he established the Mlechchha dynasty. A new ruler Brahmapala was elected to replace the Mlechchha dynasty in the late 9th century and thus Pala dynasty came into reign. After the fall of the Mlechchha dynasty in the late 9th century, a new ruler, Brahmapala was elected, who established the Pala dynasty. It is said that Varman, Mlechchha and Pala dynasties have their lineages derived from the mythical Narakasura. Gaur king Ramapala put an end to the Pala regimes in 1110 CE. However, the two subsequent kings - Timgyadeva and Vaidyadeva - though established by the Guar kings ruled independently and issued grants under the old Kamarupa seals. The proliferation of individual kingdoms in the 12th century in place of the Kamarupa dynasty marked the end of ancient Assam. 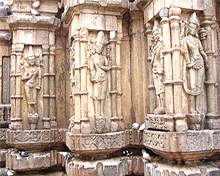 King Sandhya in the mid-13th century shifted his capital from Kamarupanagara to Kamatapur due to attacks from Turks of Bengal. Turkish ruler Alauddin Hussain Shah removed the last of Kamata kings, the Khens in 1498. But the subsequent Muslim rulers were not able to consolidate their hold over the region due to revolt by the Bhuyan chieftains, who were descendants of the ancient Kamarupa administration, and other local warlords. 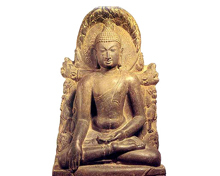 In the early 16th century, Vishwa Singha established the Koch dynasty in the Kamata kingdom. This empire reached its peak under his sons Nara Narayan and Chilarai. In the eastern part of the Kamarupa territory, the Kachari (south bank of river Brahmaputra, central Assam) and the Sutiya (north bank, near Sadiya) kingdoms came into existence. Meanwhile, in the region between the Kachari and the Sutiya kingdoms, a Shan group led by Sukaphaa formed the Ahom kingdom. During the 16th century, the Ahoms partially annexed the Sutiya kingdom and pushed out the Kachari from central Assam. They consolidated their position in the east, Koch in the west and Ekasarana Dharma of Srimanta Sankardev became popular as a movement. After the death of Nara Narayan of the Koch dynasty in the late 16th century, the Kamata kingdom broke into two -- Koch Bihar in the west and Koch Hajo in the east. While Koch dynasty aligned with the Mughals, not to be left alone, the Kamatas joined hands with the Ahoms for an intense power struggle between the two fronts. During 17th century, Ahoms kept the invading Mughals at bay right from the Battle of Saraighat (1671) and finally, the Muslim rulers had to retreated in 1682 with the defeat at Itakhuli in Guwahati. The Ahom kingdom reached its westernmost boundary till Manas river which it retained till 1826 CE. However, problems began to surface in the Ahom kingdom when it lost power for a while to rebels of the Moamoria uprising in the 18th century. Even after the Ahoms recapture power, it had to face internal dissent and revolt leading to Burmese invasion of Assam in early 19th century. 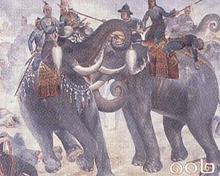 British annexation of Assam: The British attacked the Burmese garrison in Assam in 1824 CE during the First Anglo-Burmese war. And by 1826 CE, the Burmese king Bagyidaw renounced all claims on Assam in the Treaty of Yandabo. With this treaty, the British took full control of Brahmaputra Valley and began to consolidate their rule in Assam. By 1854 CE, the British annexed Kachar, Ahom region in upper Assam, Jaintia, Matak, Sadiya and North Cachar Hills in a series of strategic planning and execution of military power, thus completing their conquest and consolidation of their rule in Assam. The Chinese staff imported earlier for the cultivation of tea left Assam in 1843, when the plantations came to be tended by local people mainly belonging to the Kachari group. From 1859 labour from the mainland was imported for the tea plantations which led to exploitation and slavery. Moreover, the inhuman conditions in which they were transported to Assam plantations led to at least 10% of them dying on their arduous journey. There were protests and revolts against the British occupation. In 1828, Gomdhar Konwar openly revolted against the British, but he was easily suppressed. In 1830 Dhananjoy Burhagohain, Piyali Phukan and Jiuram Medhi rose in revolt, and they were sentenced to gallows. In the Indian rebellion of 1857, the Assamese offered stiff resistance in the form of non-cooperation. Two rebels Maniram Dewan and Piyali Baruah were executed for their roles. In 1861 peasants in Nagaon gathered at Phulaguri for a raiz mel (peoples' assembly) to protest against taxes on betel-nut and paan. Lieutenant Singer, a British officer, got into a fracas with the peasants and was killed, after which the protests were violently suppressed. Chief Commissioner's Province (1874-1905): Assam got separated from the Bengal Presidency in 1874 and upgraded to the status of a Chief Commissioner's Province. 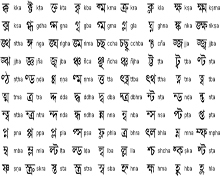 The capital was Shillong and Assamese was reinstated alongside Bengali as the official language. In 1889, oil was discovered at Digboi that led to a flourishing oil industry in the state. Colonialism was well entrenched and the tea, oil and coal-mining industries put enormous burden on agriculture sector which was totally neglected. The peasants felt the heat under the opium monopoly and exploitation by money lenders. They held protest meetings against paying taxes which led to a bayonet charge against the agitators at Patharughat in 1894. At least 15 peasants were killed in that police charge and in following repression by the British, hundreds of villagers were tortured and their properties destroyed and looted. 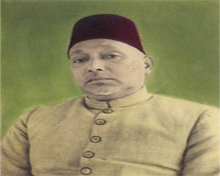 Manik Chandra Baruah became the first secretary of Assam Association formed in 1903. Eastern Bengal, Assam under Lt. Governor (1906-1912): Bengal was partitioned and East Bengal was added to the Chief Commissioner's Province. This combined entity was ruled by a Lt. Governor at its capital Dhaka. The province had a 15-member legislative council in which Assam had two seats and members were recommended by rotating groups of public bodies. After strong protest, the Bengal partition was annulled by a royal decree in 1911. The Swadeshi movement (1905-1908) did not have much impact in Assam. Assam Legislative Council (1912-1920): The administrative unit was reverted to a Chief Commissioner's Province (Assam plus Sylhet), with a legislative council added. The council had 25 members with the chief commissioner and 13 nominated members forming the bulk. The other members were elected by local public bodies, tea planters and Muslims. With the growing non-cooperation stir against the British, the Assam Association transformed itself into the Assam Pradesh Congress Committee in 1920-21. Dyarchy (1921-1937): Under the GoI Act 1919, the Assam council membership was increased to 53, of which 33 were elected by special constituencies. 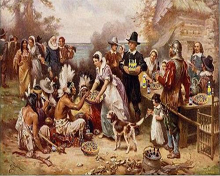 The powers of the council were increased too; but in reality, the official group consisting of the Europeans, the nominated members, had the most influence. Legislative Assembly (1937-1947): Under the GoI Act 1935, the council was expanded into an assembly of 108 members with more powers. The period saw the meteoric rise of Gopinath Bordoloi and Muhammed Saadulah and following which power tussle broke out between the duo. A massive agitation broke out against the spate of illegal immigrations in Assam in 1979. An All Assam Students Union (AASU) led the state-wide movement and forced the Central government to identify and expel the illegal immigrants from Bangladesh. Mostly non-violent, at times there were sporadic violence like the Nellie massacre where over 3,000 Muslim immigrants were killed by AASU activists in Nagaon districts. The protest movement ended in 1985 with the Assam Accord and the student agitators formed a political party called Asom Gana Parishad which swept to power in assembly elections.